I wake up in a cold sweat. It's not a normal wake up time, and I'm nauseous because of that fact; body needs sleep yet I know it will not come. I make my way downstairs and put on my shoes. My head is pounding and my palms are getting colder and more clammy by the minute. I walk outside toward the garage and the neighbor's dog barks at me. I step inside, grab a shovel and leave. I slowly trek toward the neighbor's yard yet as I reach the edge of my lawn I am unable to progress past it; an invisible force blocks my path. I struggle against this unseen wall but it is all for naught. Suddenly I hear a sound from behind me, and turn to investigate. A cat has entered my domain. I walk toward the animal and stop just in front of it. It meows and lays down on the ground. I raise the shovel above my head. Tonight I will have candy. What you have just read is a dramatic writing of a real, fictional scenario that I'm almost positive probably never happened. However this could happen at any moment, as I do own a shovel and play violent, pinata-smacking video games. It's only a matter of time before my hatred toward virtual, living pinatas turns into hatred of real, candy-filled animals. On November 9, 2006 Rare released Viva Pinata, and so began their crusade to transform innocent children, and non-children, everywhere into shovel-wielding beings hellbent on tidying up gardens across the globe — by killing pinata animals. Rare introduced the shovel as a weapon, which quickly became the newest tool in the war on peace of mind. As gardening equipment was now being used as an instrument to enact rampages, humble gardeners were being looked upon with extreme scrutiny and abhorred. Now, the American government requires background checks on every combat shovel someone wants to purchase, and is attempting to place a ban on high-capacity shovel-magazines. 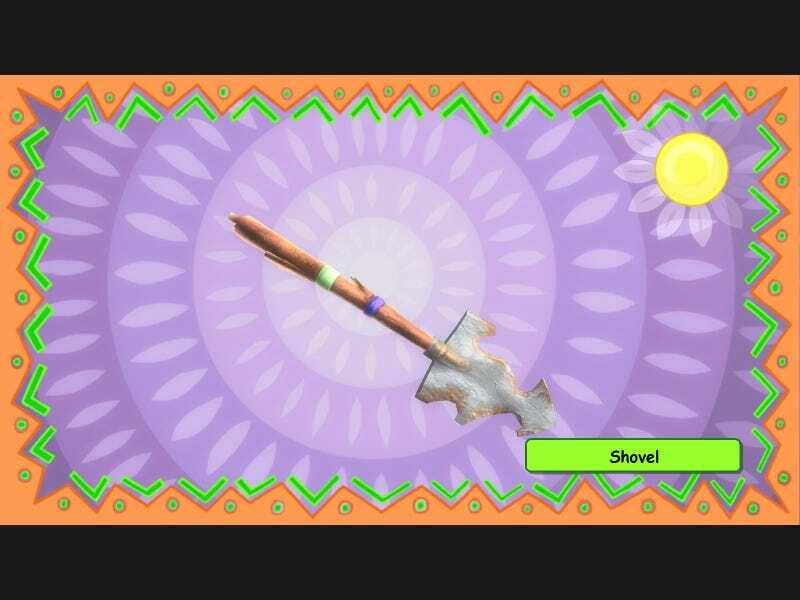 I didn't know I was capable of killing with a shovel until the day I played Viva Pinata and now I don't know how to turn it off. The simple act of raising a shovel over my head and slamming it to the ground is enough to slay candy-animals all around the world. With a simple press of a button I became a murderer who was immediately rewarded with the sounds of cheer and candy when I slew my first pinata. Those cheers haunt my nightmares and my daily life. I hear those cheers every time I see someone walking their dog, glance at a squirrel in a tree, hear neighborhood kids playing football. I don't want to be a killer, but I need that candy. And I will kill for it. Rare turned me into a begrudging murderer.